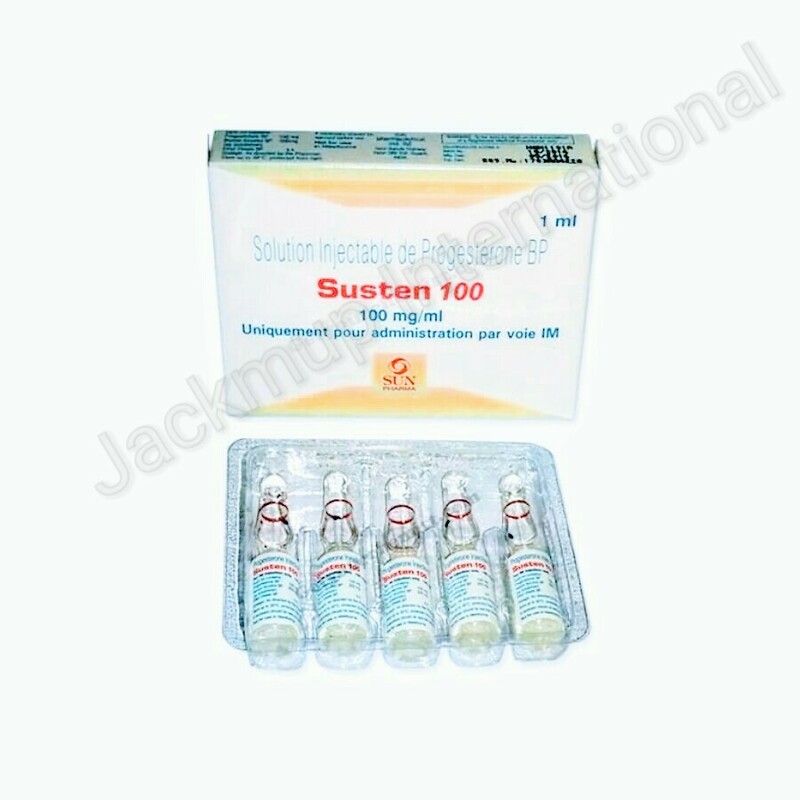 Description:- Susten 100 mg injection is used in Hormone Replacement Therapy (HRT). Progesterone belongs to a class of medications called progestins (female hormones). It is used as a part of hormone replacement therapy to bring on the menstruation by decreasing the levels of estrogen in the uterus and replacing the natural progesterone in women who are lacking.